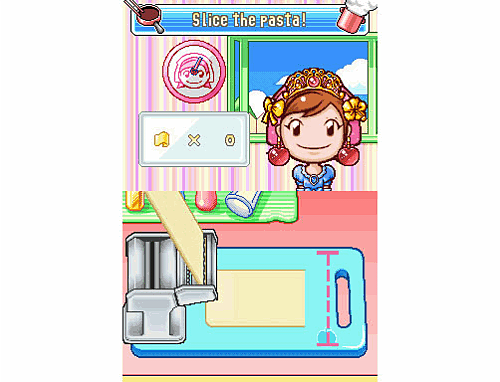 Cooking Mama 2 for Nintendo DS is the sequel to the best-selling cooking simulation game, Cooking Mama. 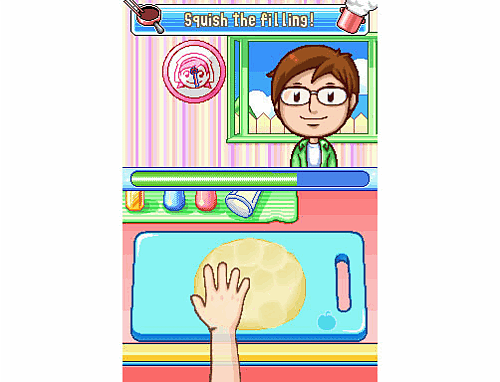 Cooking Mama 2 for Nintendo DS is the sequel to the best-selling cooking simulation game, Cooking Mama. 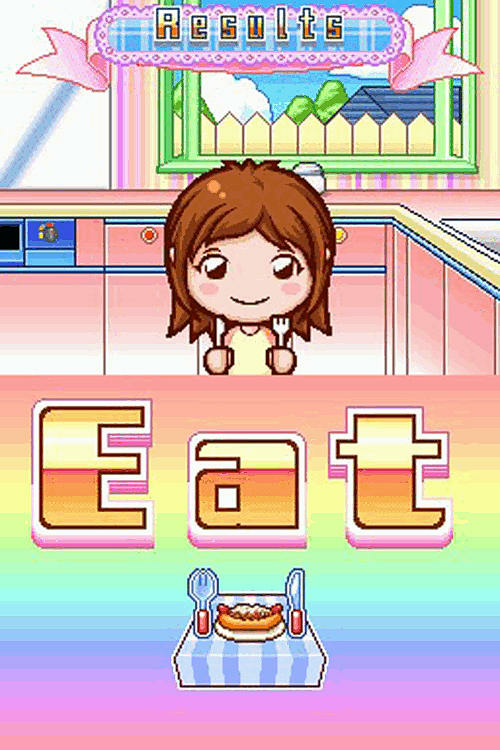 Promising even more culinary fun and even tastier gameplay, Cooking Mama 2 sees Mama and Cooking Mama 2 players cooking up a spicy storm with new recipes, twice as many mini-games and an all-new multiplayer mode, where you can challenge other Cooking Mama 2 players to a ‘cook off’, Mama style! 80 original international recipes: Cooking Mama 2 presents some old favourites and the chance to create all-new customised dishes! 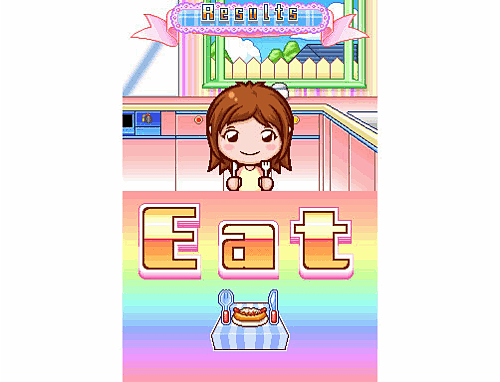 150 fast and fun Cooking Mama 2 mini-games: Cooking Mama 2 will challenge player cooking expertise like never before! Offer your finished cooking creation to a friend to taste: In Cooking Mama 2, players can offer their dish to one of the many characters who will judge it for flavour and presentation, while Mama inspects the fruits of your labour and makes her own comments on your cooking skills. 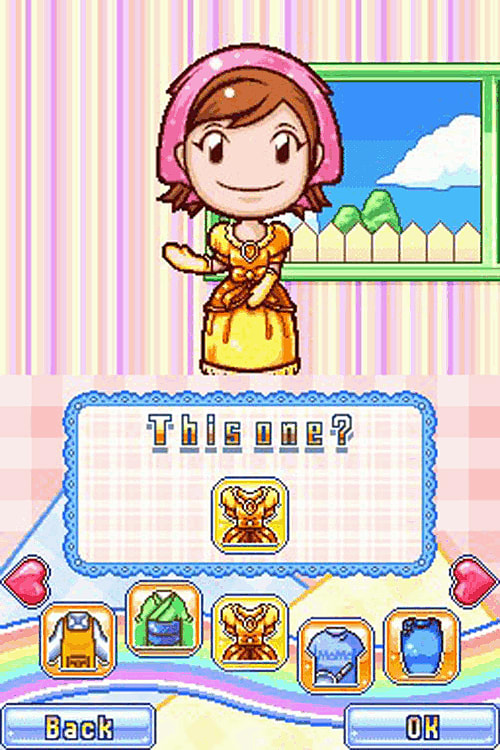 Create the look of your very own Cooking Mama 2 experience: All new customisation allows Cooking Mama 2 players to change how the screen looks using graphics and stickers acquired throughout the game! Note down your cooking successes: Cooking Mama 2 charts success through the game in your personal diary. 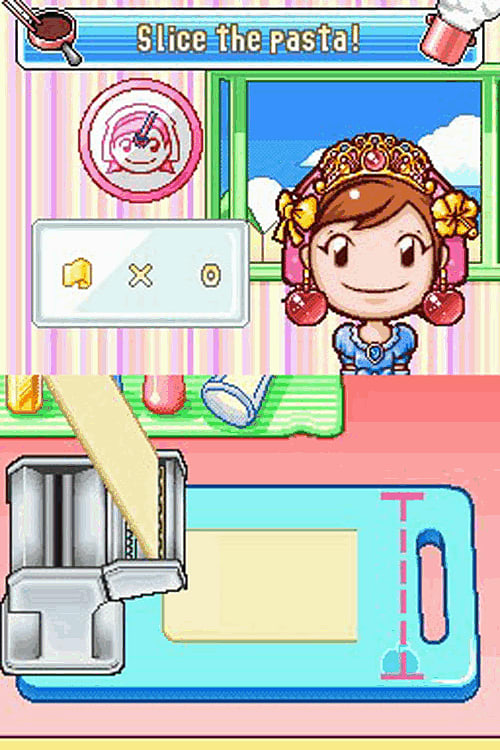 Cooking Mama 2 features a personal diary that can be used to save pictures of recipes you've completed, as well as stickers collected throughout the game, building into a completely unique log of your Cooking Mama 2 cooking activities. An all-new multiplayer mode: Cooking Mama 2 allows you to cook with your own friends! Using one copy of Cooking Mama 2 up to four Cooking Mama 2 players can cook together in competitive mini games through the Download DS feature! 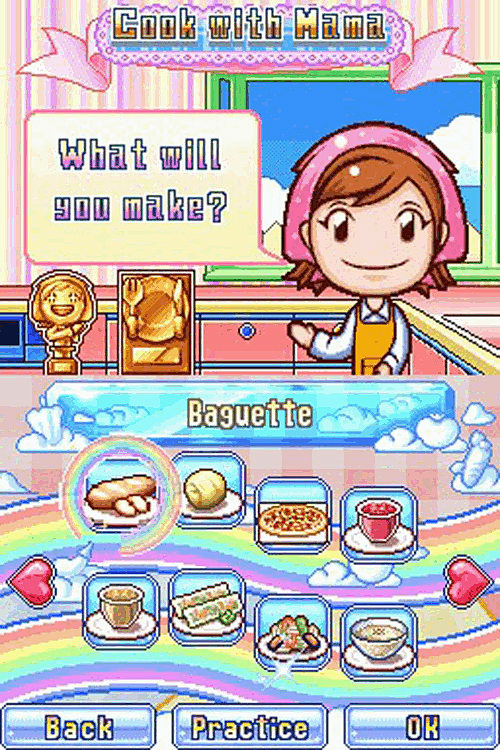 In Cooking Mama 2, presentation is all important! 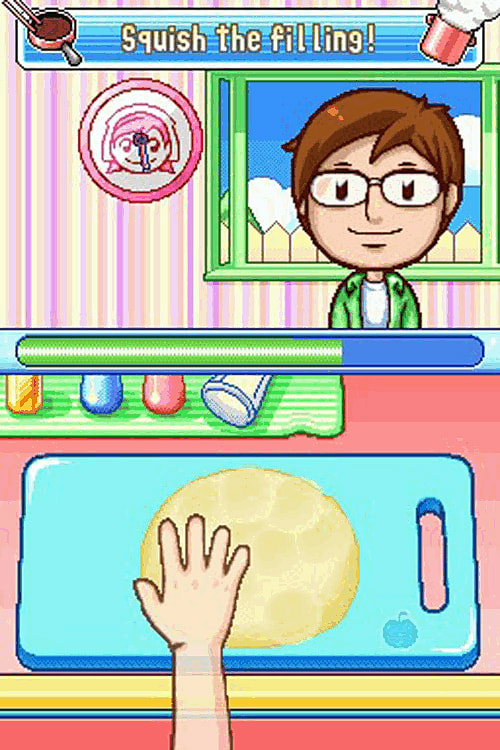 In Cooking Mama 2 your cooking ability will be reflected in the final presentation of the dish. If you make too many mistakes in the preparation then the final meal will look different from a perfect dish! 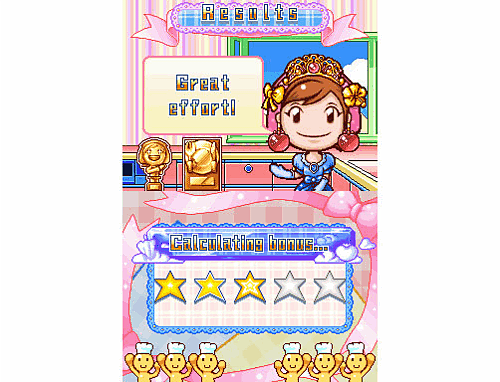 You can record your own Cooking Mama 2 progress using the diary and measure your results as your Cooking Mama 2 culinary skills improve.